Announcements about the Trust and our fundraising and support activities appear below, the latest at the top. The Trust has published a Visitor & Journey Guide leaflet introducing briefly the history and heritage of the Tramway, the unique experience of riding original Victorian & Edwardian horse-drawn tramcars in an urban street environment, visiting the historic stables, and the renaissance the Tramway is currently undergoing since ownership and operation transferred in 2016 to the Isle of Man Government. The leaflet also promotes a number of buildings of historical and architectual significance and other points of interest to been seen or explored during a journey around Douglas Bay. The leaflet will be available from the Welcome Centre at the Sea Terminal, railway / tramway stations, visitor attractions and other sites across the Island. The Trust has launched an online £12 sponsorship scheme to help support the upkeep, welfare and promotion of the Tramway's large team of Clydesdale and Shire draught horses. Sponsors receive an A5 colour 'Sponsor Card' for their sponsored Trammer which includes its photo and current profile information. Donations may also be used to support the continued participation of Trammers in traditional draught horse activities like attending Summer agricultural shows and Winter ploughing events. For details, visit our Sponsor a Trammer page. We are very pleased to announce Ms Clare Bettison has become a trustee of our charity. Clare is a member of the House of Keys (the Isle of Man Parliament), representing the Douglas East constituency since 2016. 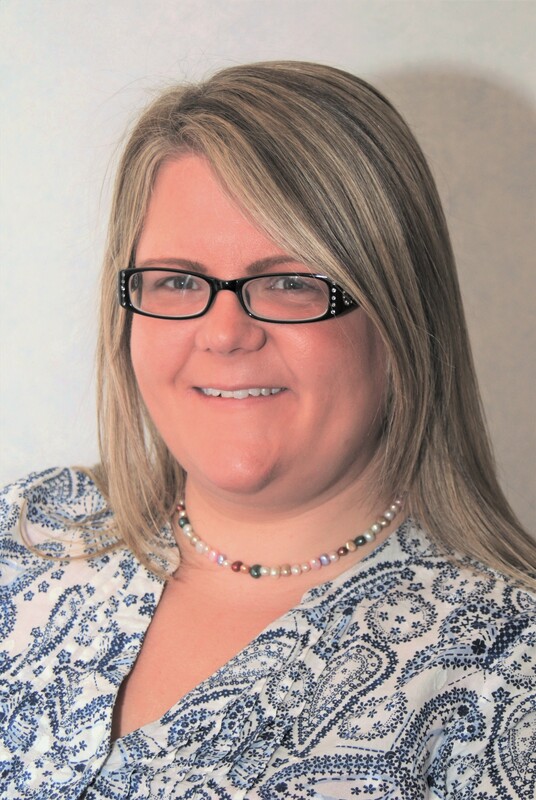 She is a registered nurse with 10+ years' experience working in the UK and Manx national health services. She moved to the Island in 2007 after completing her nurse training in Hampshire. Clare is involved with a number of local charities on the Island and is a passionate supporter of the horse tramway which is located within her constituency. The restoration and display of one of the original Upper Douglas Cable Tramway's cable pulley wheels near to the Sea Terminal has created a renewed interest in this long closed public transit system which last ran in 1929. Throughout its existence, the Cable Tramway was both physically and financially linked to the operation and profitability of the Horse Tramway. The Trust has added new information pages on its website which outline the history and operation of the Cable Tramway with a selection of historical photographs. The Trust is also helping to develop plans for guided walks along the tramway route in 2019, highlighting landmark buildings and lost features. To view the new webpages, click here. The Trust has provided two breed information panels which are wall-mounted in the Upper Stables at Summer Hill Tramway Stables. The information panels will inform visitors about the Clydesdale and Shire Horse breeds, in particular their key characteristics, breed history, appearance, modern-day uses and vulnerability to breed loss in the UK. The Douglas Bay Horse Tramway currently has more than twenty pure-bred and cross-bred Clydesdale and Shire Horses. Modern-day working roles for heavy draught horses in the heritage transport, leisure, forestry and agricuture sectors not only helps to maintain health and fitness, it forms an important part of heavy draught breed conservation. Clydesdales remain on the Rare Breeds Survival Trust (a UK charity) watchlist as a 'vulnerable' breed whilst Shires, although greater in number, are still considered an 'at risk' breed. There are only about 700 breedable Clydesdale mares left in the British Isles. The Trust has produced a full set of Tram Horse information cards to mount on the stall doors in the Tramway Stables. Alongside a photograph of each horse, the new 'Trammer Cards' provide visitors with profile information including place and year of birth, breed, colour, markings and observations, as well as when each horse started pulling Tramcars. The aim of the new 'Trammer Cards' is to help the public engage more with individual Tram Horses when visiting the stables. Further information signage is planned over the coming months. The Tramway Stables are open to the public when the Horse Tramway is operating. Guided 'Meet the Trammers' tours are available on selected dates throughout the season. See timetable and leaflets for more information or visit www.rail.im. Douglas Bay Tramway Heritage Trust is a heritage conservation charity established to help promote and support the Douglas Bay Horse Tramway, its draught horses and its historic tramcars. The Trust will be working with the Department of Infrastructure, Isle of Man Transport and other stakeholders to help develop and maintain a secure and sustainable future for the Horse Tramway as a heritage transport service and visitor attraction. As well as doing promotional and educational work, the charity aims to provide financial help with some of the many different resources required to maintain the Horse Tramway, its draught horses and its historic tramcars. The Trust will also be supporting the continued participation of the Tram Horses in traditional events and activities like agricultural shows and vintage ploughing.